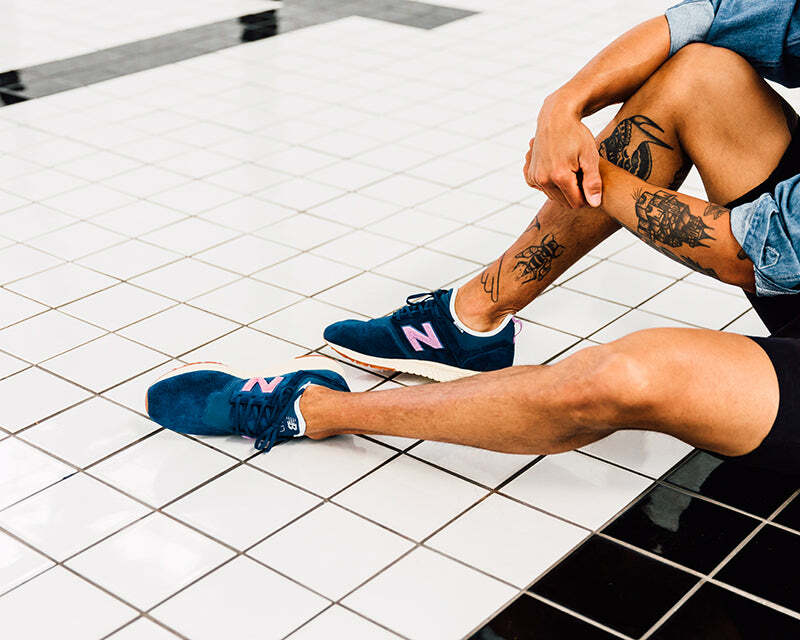 Beautifully crafted dark blue suede will remind you of cool water, while the high-tech neoprene details add contrast. 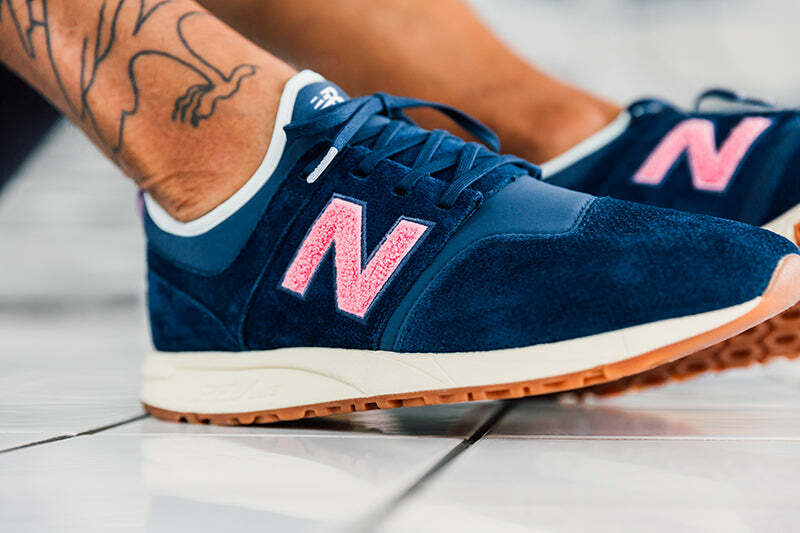 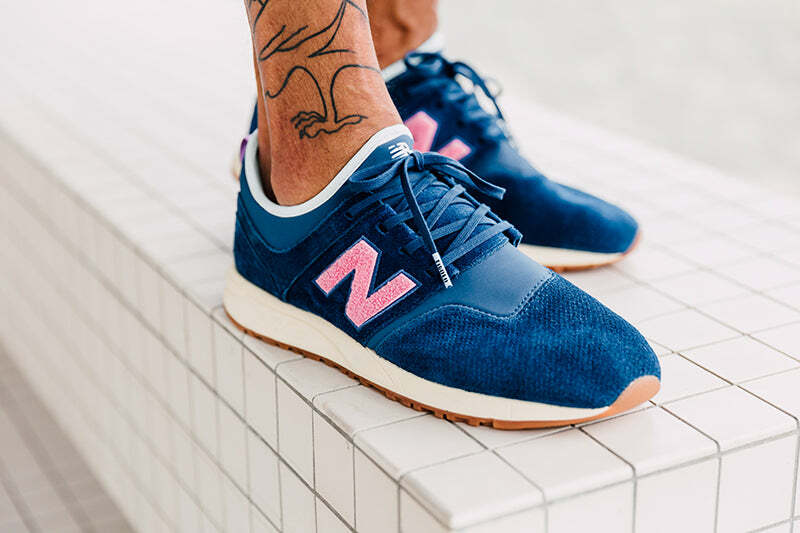 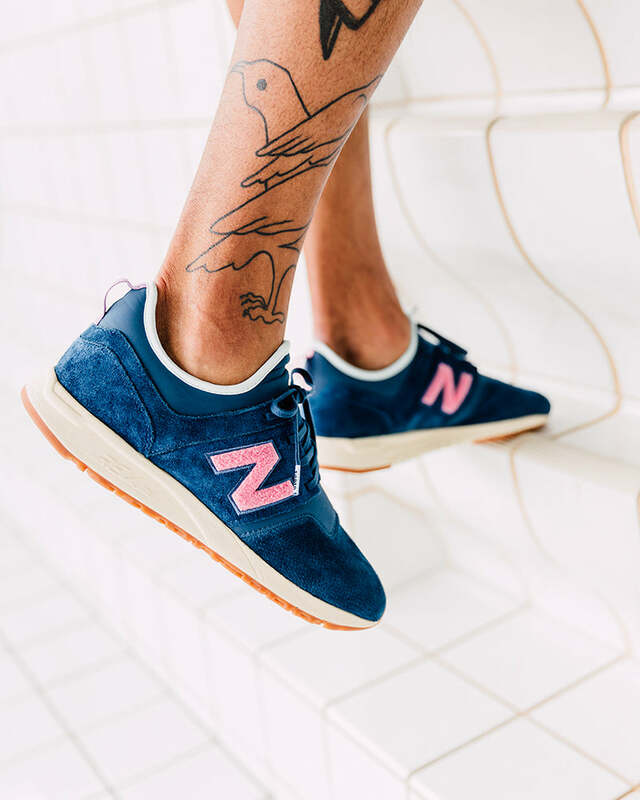 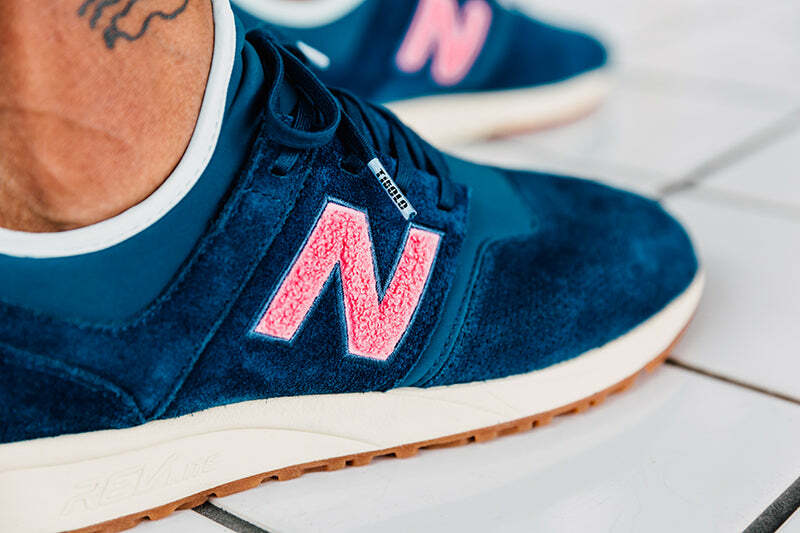 The terrycloth New Balance logo brings beach towels to mind, and is sure to delight fans of all things vintage. 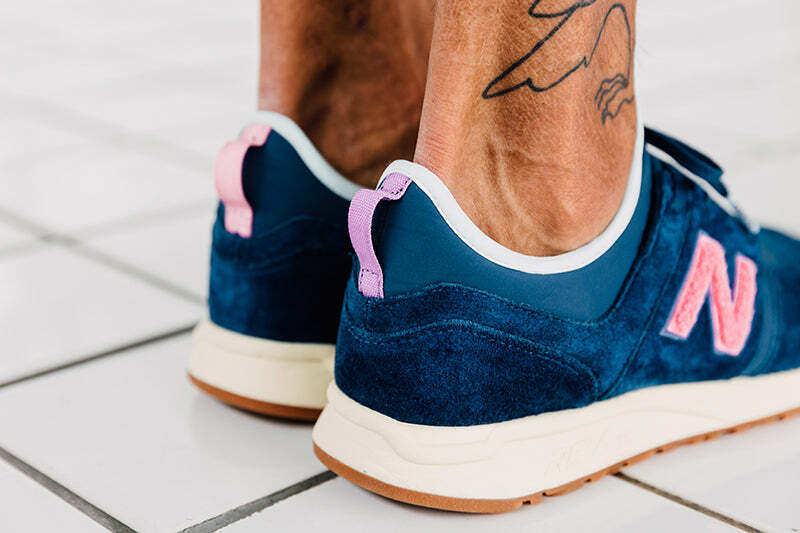 Meanwhile, the pink and purple heel taps steal the show, complementing the terrycloth logo on the outside of the shoe. 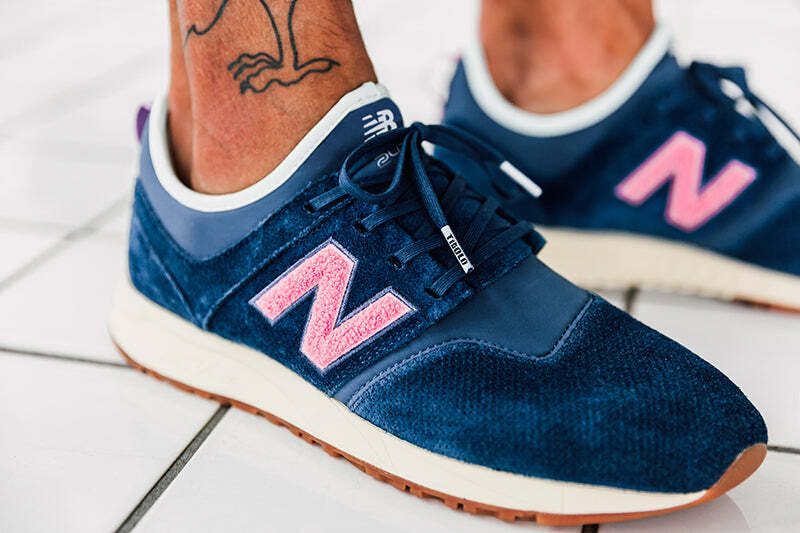 And of course, you’ll find the Titolo logo on the tips of the laces.